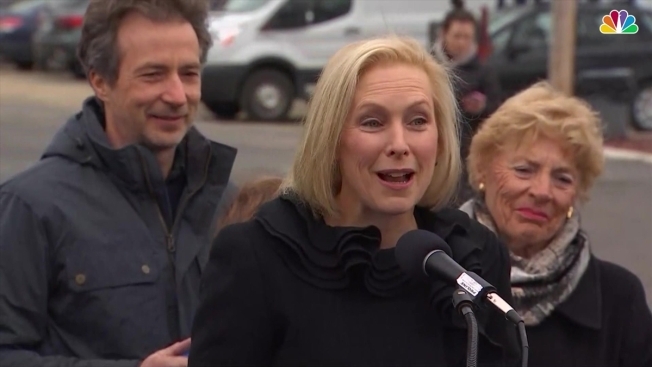 Democratic Sen. Kirsten Gillibrand talked about her rural roots in upstate New York and her bipartisan efforts in Congress during a two-day visit to Iowa, which holds the first-in-the-nation presidential caucus and a key stop for any 2020 presidential candidate. Gillibrand’s trip came three days after she announced she intends to run for president. She participated in a Women’s March at the state capitol and talked to hundreds of voters at small events, NBC News reported. A Democratic rival, Sen Elizabeth Warren of Massachusetts, got bigger crowds during a trip earlier in January. “I’m not a national name and the fact that you turned out to meet me — I’m so grateful,” Gillibrand told a coffee shop crowd in Ames, where her campaign handed out some of the first Gillibrand campaign T-shirts of the cycle on Saturday. “I plan on being here a lot, so I really appreciate this first opportunity. She presented herself as uniquely qualified to appeal across the aisle, a result of her politically moderate beginnings and her progressive bonafides as a liberal senator. “I work on a bipartisan basis every day. I worked [with] Ted Cruz on ending sexual harassment in Congress — I can work with anybody,” she said to laughs later that day in Des Moines.